jdm car parts for sale - J's Garage Export Co., Ltd.
We deal in new & used genuine (OEM) JDM Honda, Nissan, Toyota, Subaru, Mitsubishi vehicle parts, and accessories. And we also deal in JDM performance parts such as APEXi, BLITZ, BORDER, CUSCO, GANADOR, HKS, JUN, MINE'S, MUGEN, NISMO, RALLIART, SPOON, STi, TRD, etc. We would be able to ship the parts all over the world. As for the small parts, we would ship by EMS, UPS, or DHL (if you have the DHL or FedEx customer account, we might be able to ship the parts through your account. please just let us ask. ) to your home/garage or the shop. As for the large/heavy size parts, we would be able to arrange the LCL shipping. If you don't find the parts which you are looking for, please feel free to inquire by e-mail or our PARTS INQUIRY FORM. We would be happy to look for them here in Japan. PLEASE NOTE: * Importing tax, duty, etc. are not included, Please inquire about it at the Customs in your country. 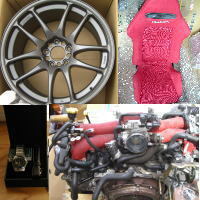 As you may know, a lot of JDM parts are sold on the yahoo auction Japan. Although the auction system is almost same as the e-bay, most sellers do not send the parts to foreign countries... Also, you may have the problem of the Japanese language.. So, we have started to arrange the parts from the yahoo auction instead of you. Because we would be able to arrange the parts from the yahoo auction Japan and we would be able to send the parts to your house (except big size parts), please feel free to let us ask. 1. Please let us know your address and phone number. 2. Please let us have your payment of the deposit by a verified credit card or Paypal in advance. 3. Please let us know the final bidding price for the item. 4. When we won the auction, we will arrange it and will update the information. 5. After confirming the payment of balance, we will send the parts as soon as possible. * Information of the Cost. 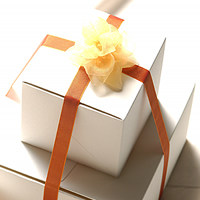 final bidding price (sometimes, be requested 8% auction store fee from the seller. and some sellers ask the packing fee : it depends on the seller) + delivery cost to us + bank payment fee + Shipping cost to you + yahoo auction fee ( minimum 3000yen/per one item or 7%) + 5% of our contingency fee+ wire transfer fee (if payment by wire transfer). 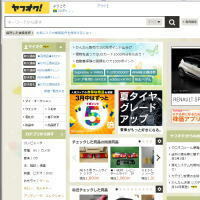 * If you would prefer to arrange the car from the yahoo auction, please just let us ask. We will give the information (our commission is 87000yen/per a car . ).